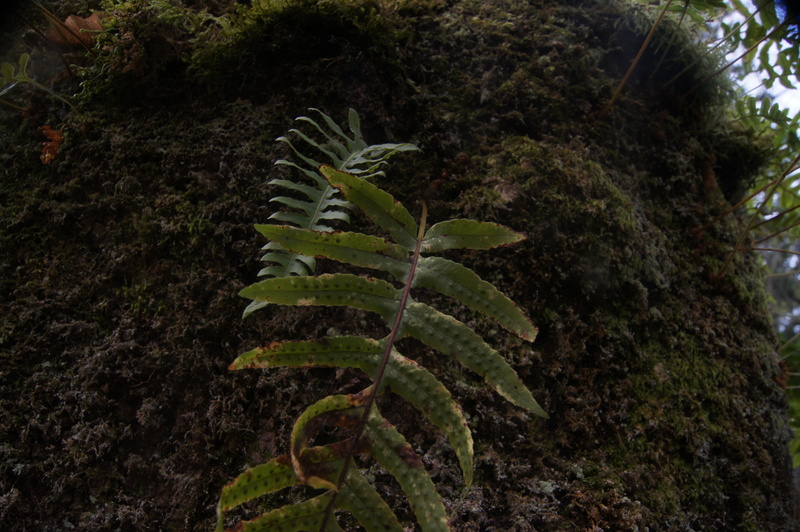 One of the most fascinating things about the Bellevue Botanical Garden were the Licorice Ferns (Polypodium glycyrrhiza D.C. Eaton) growing on trees. 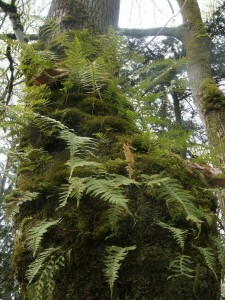 It seems to prefer the Bigleaf Maple, like the ones I took pictures of here. 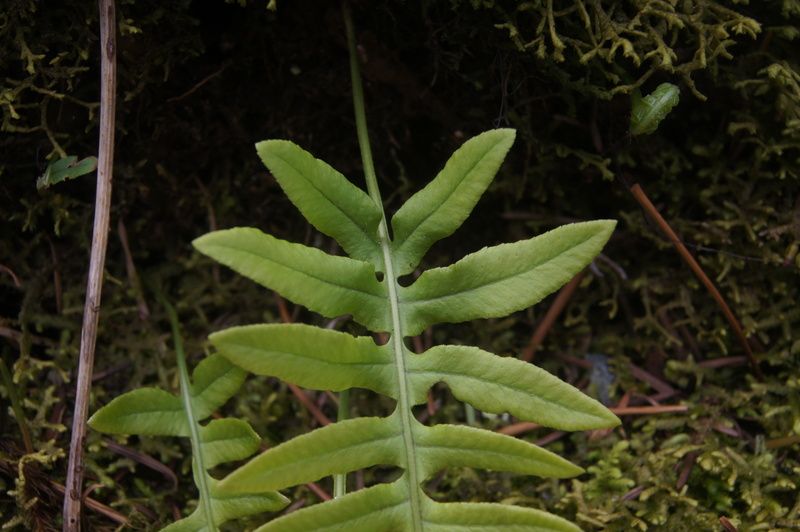 It is an evergreen fern that is endemic to Western North America from Alaska and the Yukon on the North to California on the South. 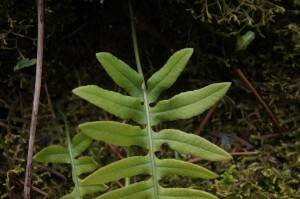 There are two highly disjunct populations in Idaho and Arizona. 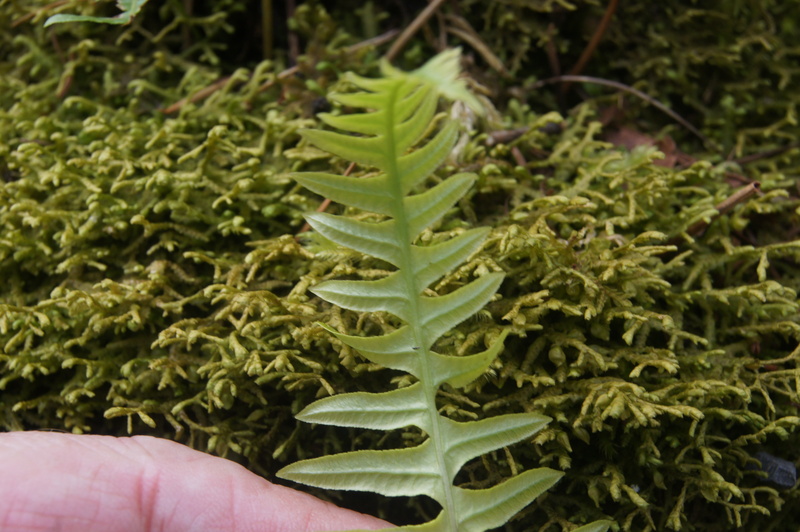 It thrives in cool humid climates and is commonly found growing among moss on the ground, on logs, and on rocks in addition to trees. 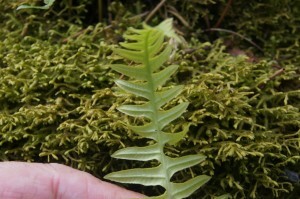 It is called Licorice Fern because of its licorice-flavored rhizomes which were chewed by Native Americans. 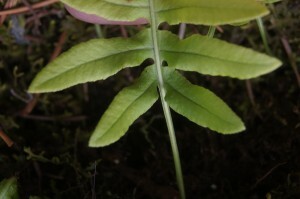 It is said to have medicinal value as a treatment for colds and sore throats. 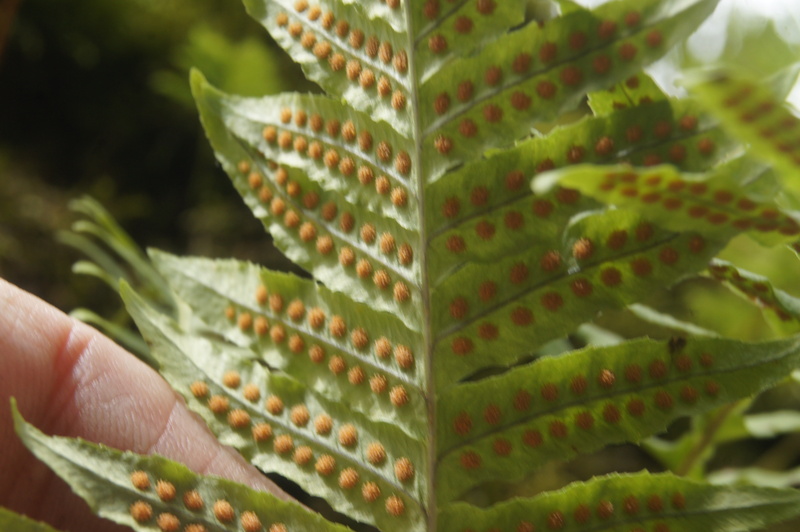 The Licorice Fern is in cultivation with at least one award winning variety. 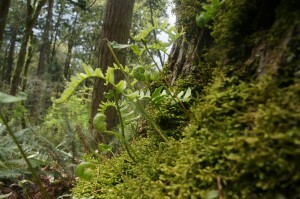 It is easier to grow than most ferns because it is not rock dependent.